Have you ever heard of a “questionologist?” I had not, until I came across the word in a book by self-proclaimed question advocate Warren Berger. 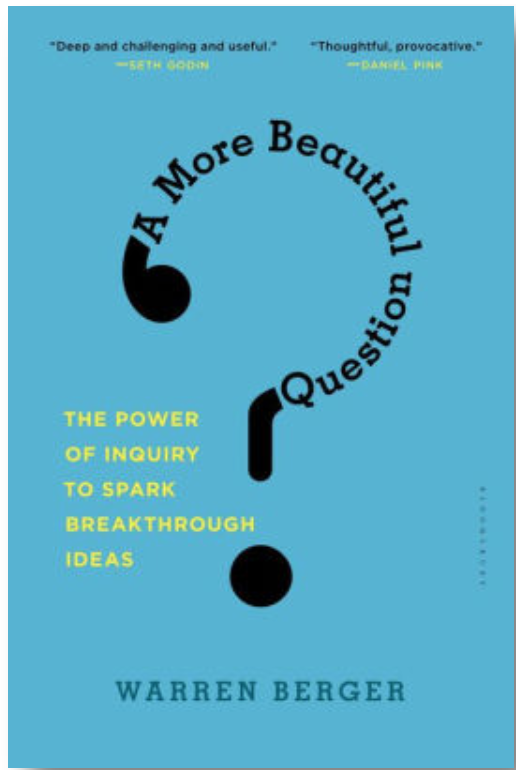 He posits that asking better questions can be a game-changer—sparking innovation and propelling us forward in our personal and professional lives. This idea inspired me to frame up some thought-provoking questions for the year ahead of me. I’ve jotted down three queries, shaped by my observations about the significant cultural themes of 2017. I hope they will be thought-starters I can come back to throughout what promises to be an exhilarating year ahead. #1: CAN WE BE SMARTER ABOUT OUR SMART PHONES? In 2017, a growing body of research illuminated the negative effects of our digital culture. We learned that we touch our phones a shocking 2,617 times per day, that the majority of Americans feel near-constant anxiety about how their social life stacks up (#FOMO), and that “phubbing” is weakening our relationships. People didn’t sit idly by as the realization set in that our screens make us less happy and reduce our brainpower. Rather, a growing awareness of the toll of near-constant scrolling, liking and swiping prompted cultural responses like the 72-hour tech cleanse, DIY hacks to help you use your phone less, and even the idea that you can become a “conscientious objector” to social media. In the year ahead, I foresee the dialog about the potentially detrimental results of the “attention economy” continuing and reaching a broader audience. Even Facebook engaged this month, with the company’s first acknowledgment of the ways the platform can harm mental health. In particular, I think we will see a growing number of people looking to companies and brands to help them re-evaluate the role of digital and social technology in their everyday lives. Undoubtedly, business leaders will continue to offer tech tools to connect with their customers. However, these efforts will be influenced by a cultural desire for more tech-free spaces – physical and mental. This will include growing interest in tech tools that can help limit or modify existing habits and behaviors. And, increased value placed on solutions that help bring some focus back to tangible experiences and relationships. For example, travel providers predict the digital detox vacation will be a 2018 trend. And, Nokia punctuated this year’s holiday marketing campaign with the call to “Switch Off” for Christmas. How is my company suited to participate in the reappraisal of our smartphone-centric culture? How can we help people maintain the upper hand in their relationship with smartphones and create spaces for analog thoughts? WHAT LIES OUTSIDE MY FILTER BUBBLE? The events of 2017 also underscored the incredible power of technology (social media in particular) to divide versus unite. Eli Paiser coined the term “filter bubble” in 2011 to describe the intellectual isolation that occurs when algorithms selectively tailor everything we see to align with what we already believe. However, the concept experienced a true cultural inflection point this year, when it became clear that heavy filtered (and fraudulent) online content likely played a significant role in surprising election outcomes in both the U.S. and the U.K. These revelations led to a productive cultural conversation about the ways that self-selecting algorithms have the potential to filter diverse viewpoints out of a growing number of aspects of our lives (what we watch, where we go, what we buy, who we meet, even how we get to work). In the year ahead, I look for the movement to “break out” of filter bubbles to gain steam, with people actively seeking perspectives that challenge or at the very least broaden, what they already believe. We are already seeing cultural signs of this including: public calls for more understanding (see article: “The Other Side is Not Dumb”), tech applications like Escape Your Bubble, and marketing calls for greater cultural acceptance á la this beautiful ad from HP. How can we help people better understand their own biases and cultivate a broad range of perspectives in their everyday lives? WHAT MAKES US HUMAN IN 2018? Before you write this last one off as coming out of some sort of phenomenological left-field, hear me out. It is a safe bet that the word “robot” appeared in mainstream media content more in 2017 than in any prior year. In fact, Wired calls this the year robotsu really, truly arrived. We know that in the not-so-distant future machines will cook our meals, teach our kids, care for our aging loved ones and maybe even steal our jobs. We also know that machine learning is quickly blurring the lines between what it even means to be a human or a robot. Over the past year, technologists have created algorithms that can design symphony halls, indiscernibly mimic human voices, and even pass college courses. Futurist Kevin Kelly goes so far as to say that by 2025, technological advances will bring a convergence of humans and machines that will rework the planet’s sphere of consciousness. In the year ahead, I would not be surprised to see a cultural identity crisis of sorts, as more of us stop to consider exactly what it is that separates humans from machines. Thus far, I have seen this inquiry result in more interest in traits like creativity, imagination, and the capacity to empathize – all areas where humans still have (and are likely to maintain) the upper hand. Additionally, I expect to see more cultural exploration—and possibly also governmental action— around the ethical implications of human/robot interactions. I’ve also been pleased to see companies take a more active role in considering and investing in new educational formats that will help ensure that future generations will be able to stay one step ahead of our technological counterparts. What am I doing to ensure that my company creates an environment where current and future generations can survive—and thrive—in a machine-powered world? There we have it. Three seemingly simple questions; very few concrete answers. I hope they will inspire unconventional ideas in my own work, and that they might spark new thoughts for you as well. In the meantime, happy New Year, and best wishes for a fulfilling and productive season ahead. There are fairly big changes on my horizon, as I prepare to move my family (dog included!) 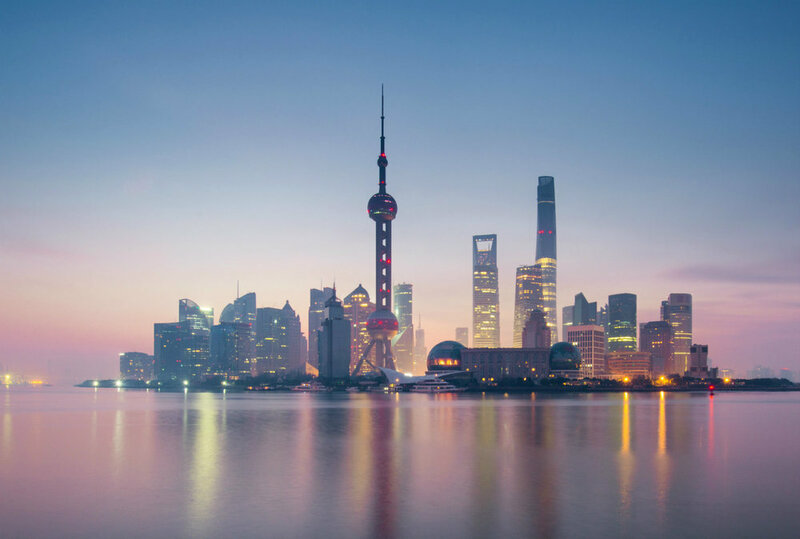 to Shanghai and assume a new leadership role. Please drop me a line if you find yourself in my new home city, where you’ll find me setting aside my mobile more often and looking to burst my filter bubble, while remaining ultimately thankful for the capacity of technology to help us build a better world.